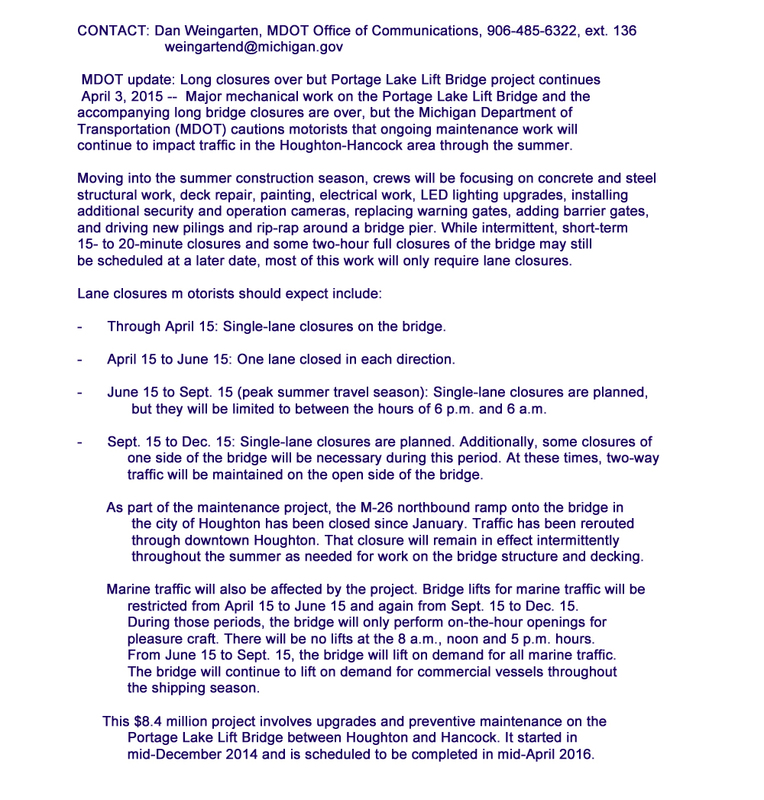 SPECIAL NOTE: Persons wishing to walk across the Portage Lake Lift Bridge during this construction period, should be aware that pedestrian traffic may be closed on one side or the other, or, may not be permitted at all during certain periods. Regular Updates will also be given on 1610 KHz. on your AM Radio Dial. 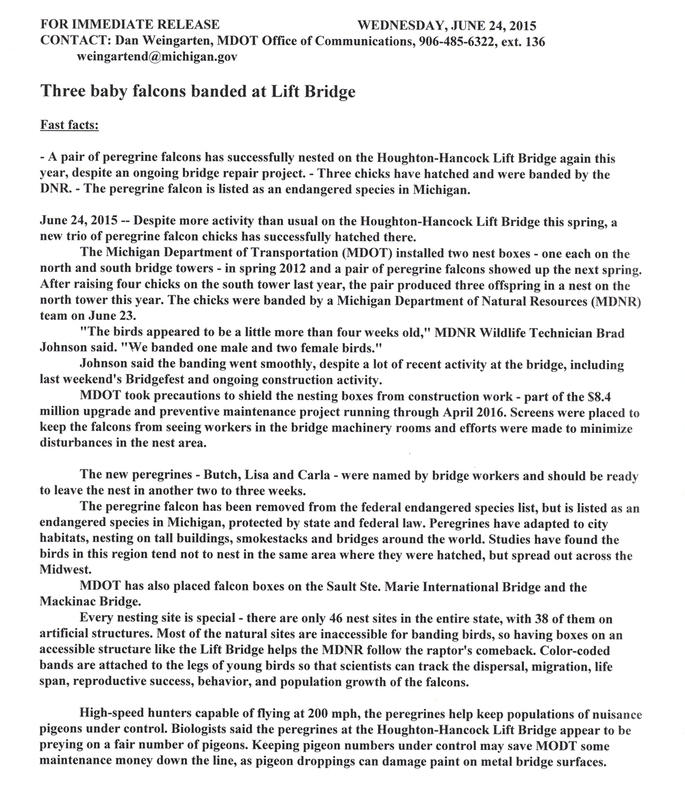 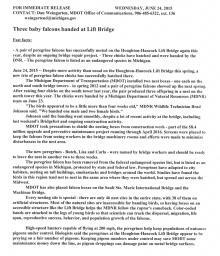 New baby Falcons at Portage Lake Lift Bridge. 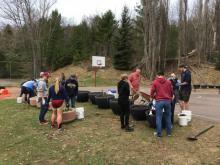 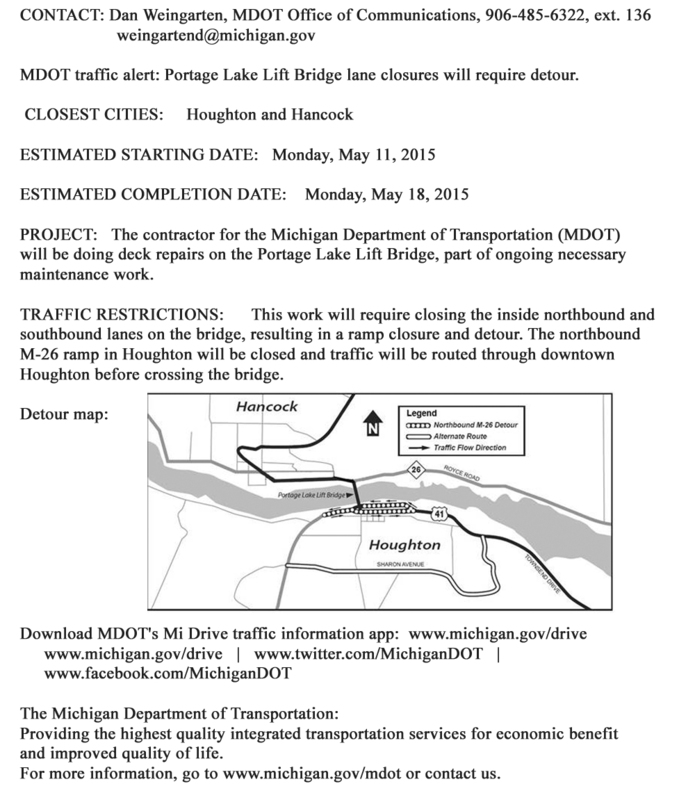 WEEK of May 11-18th, 2015. 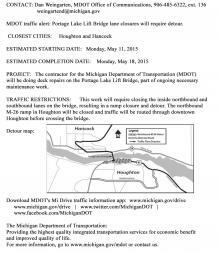 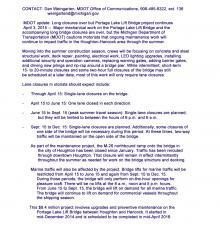 Bridge closure information for April 3rd., onward through the remainder of 2015.